Blood supply to the head is abundant so that any injury to the face or mouth bleeds profusely. In the case of dental/mouth injuries blood mixing with saliva increases the risk of blood-borne infection. When providing any care wear gloves to reduce this risk. With all dental injuries tooth fragments must be recovered otherwise a chest X-ray is required to exclude inhalation. Dental injuries can also occur with problems such as fractured mandible, fractured cheek, concussion or unconsciousness. These problems must also be managed. Only a permanent (second) tooth should be replaced into the socket, and only if the athlete is conscious. Any dental injury is distressing especially when a permanent tooth is knocked out. Teeth that are reinserted into their socket within twenty minutes have the best chance of surviving. Immediate care provided by the Sports Trainer at the scene will determine the fate of the injured tooth. Locate the tooth and recover all tooth fragments. If you can, re-insert the tooth Immediately replant tooth in its socket using other teeth as a guide. Fold a small gauze square several times to make a pack that is placed over wound. The athlete closes their teeth onto the pack applying firm biting pressure to control bleeding. Attend a dentist as soon as possible. Chipped or Broken Teeth: a common injury that can affect any tooth. The injured tooth may be painful to temperature change or movement of air across the tooth surface by breathing though the mouth. 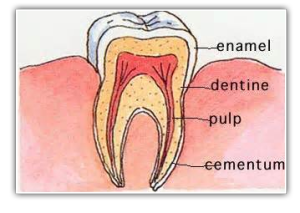 Covering the exposed area of tooth provides relief. Bleeding from the inside of the mouth and lips can occur due to the jagged or broken edges of affected teeth. Recover and store the broken tooth fragments to aid the dentist. Tooth loosened or pushed out of position (Luxation): A permanent tooth may be loosened or moved out of position but not completely out of its position. moving the tooth into the correct position as soon as possible. Second Option -Biting into towel of Handkerchief. Third Option -Holding tooth in place by finger pressure. attending a dentist as soon as possible. Poorly fitted mouthguards are uncomfortable to wear, affect speech, breathing and swallowing. These inexpensive mouthguards require little or no fitting, provide minimal protection and risk blocking the airway in an unconscious athlete. A mouthguard is protective only if an adequate thickness of mouthguard material (4mm- thickness of 2 matches) covers vulnerable areas “the biting surfaces of the upper teeth, the visible surfaces of the six front upper teeth upon which the lips rest. Custom-fitted mouthguards are best for all contact sports participants to reduce the risk and severity of dental injuries because they are well fitting and professionally made, can accommodate the unique arrangement and number of teeth and ensure adequate thickness of material in vulnerable areas. The mouthguard should also cover the bony gum area finishing close to the junction of the inside of the cheek. A boil and bite (self-moulded) mouthguard cannot provide a good fit by sucking, biting on the guard or provide adequate thickness of material in vulnerable areas. Never share mouthguards. They should only be worn by the player for whom have been made. Never store a mouthguard where it may be subject to excessive heat build-up which may cause it to distort. During use, take mouthguard out after quarter/half of play; rinse it and your mouth with water before re-inserting. At the end of play rinse you mouth with water, wash mouthguard with soap and warm (not hot) water then rinse it with cold water. Before each game the athlete should check their dry mouthguard in good light for any visible tears, particularly where the mouthguard material is thin or has worn away. Also they should run a finger along the non-fitting surface to identify any rough areas that may indicate splits or cracks of the guard. This surface must be checked for similar damage following any heavy blow to the mouth or jaw. With use, the biting surface of any mouthguard may flatten, wear or become dangerously thin over the biting edges of the front teeth. Excessive thinning on the biting surface of the mouthguard allows players to bite through the mouthguard during use. If this occurs no protection is provided. It is easier and cheaper to replace a mouthguard than replace a lost tooth.